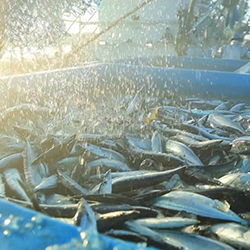 South Tohoku consists of Miyagi, Yamagata, and Fukushima where you can find fasinating sceneries like Matsushima Coast, Zao, Azuma Skyline, gourmet paradise like the UNESCO Creative City of Gastronomy, Tsuruoka and Yonezawa Wagyu (One of the top three Wagyu brands in Japan). 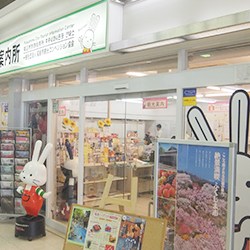 You can easily transit to each city through the gateway big city, Sendai and enjoy local specialities. JR Senseki Line: 5 min. walk from Matsushimakaigan Sta. JR Tohoku Line: 20 min. walk from Matsushima Sta. 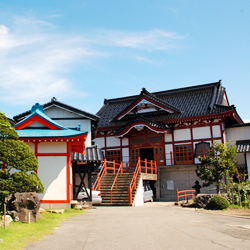 Godaido is a Buddhist worship hall where Godaimyo (Five Dava Kings) have been enshrined that has come to symbolize Matsushima. In the year 807 AD, the shogun Sakanoue no Tamuramaro built a small Buddhist temple called Bishamon-do during his expedition to the east. In 828, Ennin (posthumously called Jikaku Daishi) not only founded Enpuku-ji (modern-day Zuigan-ji), but also placed images of the Five Dava Kings within Bishamon-do, which led to it being known as Godai-do. Fudo, the immovable, is placed in the center; Gozanze, the one who subjugates the three worlds, is located to the east; Daiitoku, deity of victory, is placed to the west; Gundari, enemy of devils, is positioned to the south; and Kongo Yasha, destroyer of foolish human desires, is located to the north. 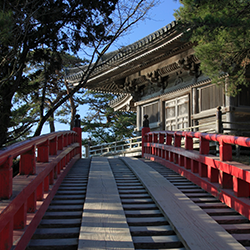 Leading to the temple are unusual red bridges with spaces between the planks- it is said that if you trip you are not yet ready to reach the temple! JR Senseki Line: 7 min. walk from Matsushimakaigan Sta. Free Wi-Fi is available for 60 minutes upto 4 times a day. 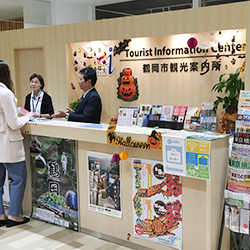 of Matsushima Tourism Association. Advanced reservations are not available. 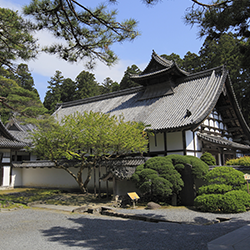 Zuihoden is the final resting place of the members of DATE clan including the first feudal lord DATE Masamune.A superb example of elegant,gorgeously decorated architecture of the early Edo period.Ideal for strolls on the grounds,which are surrounded by cryptomeria groves. Take a Loople Sendai bus from bus stop 16 in front of Sendai Station West Exit,and get off at the Zuihoden-mae bus stop. This is the site where Lord DATE Masamune built Sendai Castle(also called Aoba Castle)more than four centuries ago.You can get a panoramaic view of Sendai from the place where a statue of Lord Masamune on horseback stands.Here you can visit the Aoba Castle Museum,which displays a range of items related to the DATE clan. 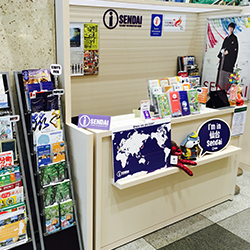 Take a Loople Sendai bus from bus stop 16 in front of Sendai Station West Exit,and get off at the Site of Sendai Castle bus stop. Mitakisan Fudoin Temple is a temple you can find right in the middle of a busy shopping arcade in downtown Sendai. Modern meets the old in this fascinatingly peculiar location for a buddhist temple. Enshrined here is Dainichi Daisho Fudomyo-o, as well as Sendai Shiro, Sendai’s god of fortune. After paying your respects, you can shop for talismans, souvenirs, or even delicious snacks at the charming stalls which line the path to the temple. 10 minute walk from JR Sendai Station. 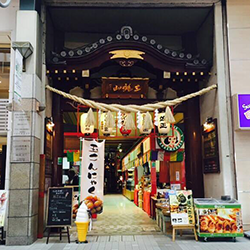 Iroha Yokocho is a beloved and iconic side street to Sendai locals. 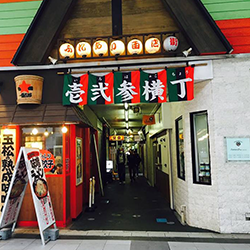 Enjoy the unique atmosphere reminiscent of the Showa era inside this retro-style street that is filled with over 100 shops, from bars and restaurants to apparel boutiques and variety stores. 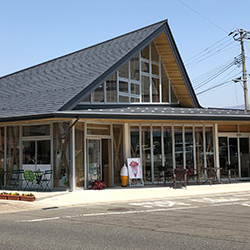 Experience local life by shopping, eating, and drinking your way through Iroha! 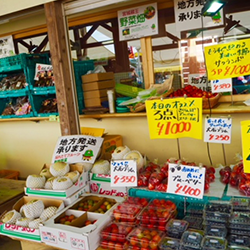 The Morning Market,which reopened in December 2013 after the Great East Japan Earthquake,boasts a 40-year tradition.Some 50 shops are open on Sundays and holidays,their proprietors shouting out to tell the passersby about their products such as ark shell and flounder.Anyone can participate in the famous auction.If you are lucky,you might be able to get something at half the normal price. 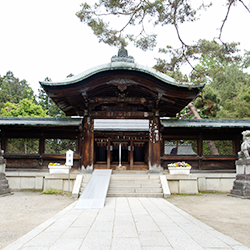 The Three Shrines(①Kumano-jinja Shrine,②Kumanonachi-jinja Shrine,③Kumano Hongusha Shrine)located in the same place as in the Kumano Sanzan(Three Major Shrines),the sacred places of the Kii Mountain Range,are dedicated to their respective deities. 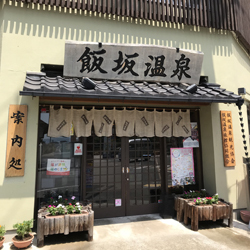 Get a feel of ancient times through the Kumano Sanja of Natori, said to be a replication of the world of the Kii Kumano Sanzan of the Tohoku region. 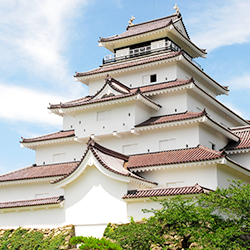 In March 1995,in the seventh year of Heisei, Shiroishi Castle was restored as a completely restored castle tower in wooden architecture. The restoration was done for the first time in 120 years since the castle was dismantled in 1874. 10 minutes walk from Shiroishi Station on JR Touhoku Main Line. The height/about 65 m and the width/about 100 m. Because the rocky mountain in the back looks like stripes of a tiger, it is called, “Toraiwa” and the park is called “Toraiwa park”. 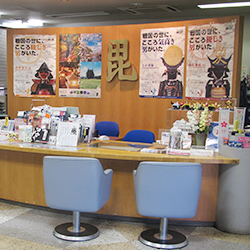 Japan, located on the second floor. Thoroughly enjoy beautiful flowers in full bloom on Mt. 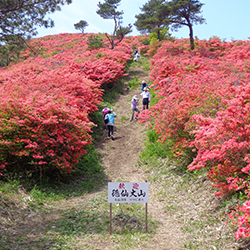 Tokusenjo, which has one of the largest communities of rhododendrons and Japanese azalea that is 10 times the size of Tokyo Dome (late May). This hot spring village opened about 1200 years ago. It consists of five major hot springs.Surrounded by mountains, you ca relax while soaking in hot springs,enjoying looking at the beautiful streams, plum and cherry blossoms,and strolling in the highland. By car: 28.5km from Furukawa I.C. 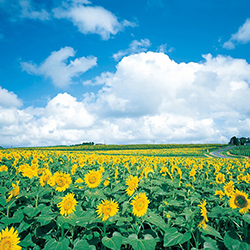 In the sunflowers hill of Sambongi Osaki city, 420 thousand “Himawari” called as sunflower bloom profusely. These flowers are best viewed from the beginning of July through the end of August. This as much as 6 hectares scenery dyed yellow is beyond a doubt the best part. The “Himawari” festival is held in that same period, The specialties made from sunflower seeds sell. Use coin locker in the station to keep the baggage. Founded by Jikakudaishi Ennin(the third leader of the Tendaishu) in 860 which is known as Yamadera. 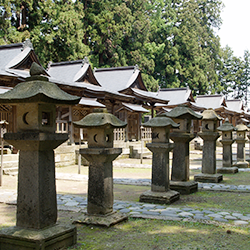 These are branches of Enryakuji Temple and one of the most famous ones of Tendaishu in Tohoku region. You will see the superb and fantastic views from Godaido. Take JR Senzan Line from JR Yamagata station to JR Yamadera Station. Ａbout 10 minutes walk after. The seasonal wind blowing from Siberia picks up moisture which crosses the Sea of Japan and put this moisture on the fir trees as ice. Thus the ice trees are born from typical climate of Zao. 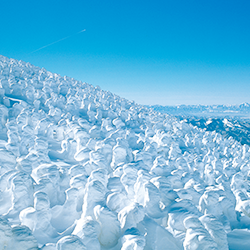 The ice trees also called snow monsters which are nature’s artwork and a sculpture of snow and ice. The massive and powerful ice trees in Zao presents one of the best sights in the world. 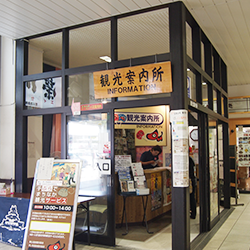 Take the bus from JR Yamagata station to Zao-onsen bus terminal. Transfer to the cable car from Zao-Sanroku station after. Mount Haguro, one of the Three Sacred Mountains (Dewa Sanzan), is the place where Yamabushi (mountain monks whose desire is to protect the nature and live a sinless life) practice Shugendo, a religion based on very strict ascetics. Climb the 2446 stone stairs and experience a symbolic death after which you will be reborn once arrived at the top. You will encounter on your way Yamabushi, blowing trumpet shells to keep the bad spirits away, the Five-Storied Pagoda, National treasure that has stood at the bottom of the mountain for 700 years, Grandpa Cedar (Jiji-sugi), a giant cedar still existing after 1000 years, several shrines and a waterfall where Yamabushi accomplish their rites. Self-mummification was a Buddhist practice used by monks who aspired to become Buddha after their death. The monks who succeeded in this were called Sokushinbutsu (Buddha of flesh). The process was long and harsh. They had to cut the 5 forbidden grains from their diet for more than 1000 days, eat only pines needles for another 1000 days, then completely stop eating, retire themselves inside a hole they dug and drink an urushi-lacquer based poison in order to preserve their organs until their death.If the body remained intact and didn’t rot, then the monk succeeded in becoming a Sokushinbutsu. There are 4 Sokushinbutsu in Tsuruoka. You can visit them in Mt. 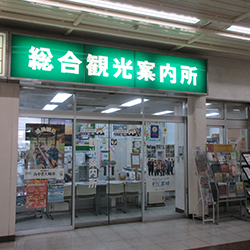 Yudono and inside Tsuruoka city. 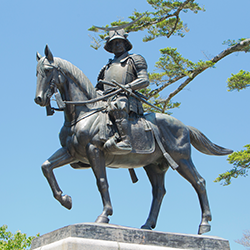 Constructed in 1876 on the site of the former Yonezawa Castle keep , this shrine is dedicated to Kenshin Uesugi, one of the most powerful lords of Japan’s feudal era and a formidable warrior. The current sanctuary is a reconstruction built in 1923. 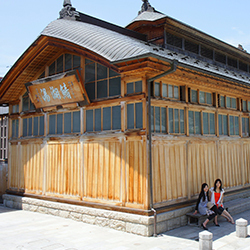 The grounds also include the Keishoden, a treasure hall that houses and displays cultural artifacts including relics of Lord Kenshin. 5-minite walk from the”Uesugi jinja-mae”bus stop. 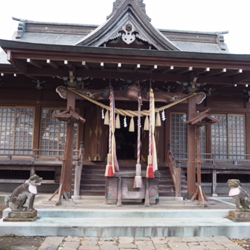 Many members of the Uesugi clan that ruled Yonezawa are interred here, from its forefather, Kenshin, to Kagekatsu, the first ruler of the feudal domain of Yonezawa, and all the way up to its eleventh-generation ruler Narisada. A nationally-designated historic site, the grounds are surrounded by a cedar grove, giving them a solemn atmosphere. 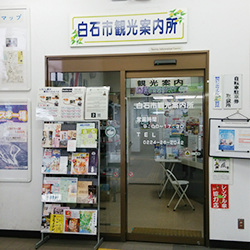 4-minute walk from the “Gobyosho Nishiguchi” bus stop. 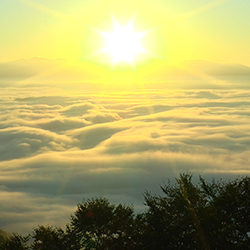 The Yozo mountain pass of Sakekawa Village,Yamagata prefecture, is known as a place to view the sun rising thtough a sea of clouds.As Shinjo valley is in full swing, in early morning you’ll see sunrise from the skirts of mountains encompassed with a thick fog and have a magificent view of a glittering mountain ridge in the morning sun. located along Route 13, the place is also easily accessible by car. A fun place all can enjoy, from small children to adults. This historical hot spring resort opened about 560 years ago.Here you can feel a different atmosphere depending on the district ,for example,the atmosphere of the castletown and the view overlooking the Zao Mountains. There are five foot baths and five public baths in the city that use water from hot springs. 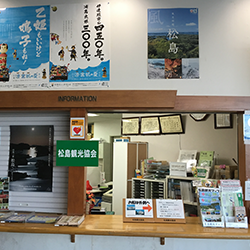 It takes about 10 minutes on foot from Kaminoyama Onsen station on Yamagata Shinkansen line. Kurort is a world that refers to a ”health resort area ” in German. 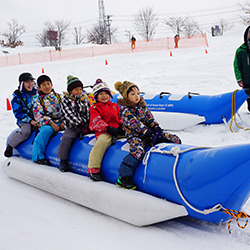 In Kaminoyama, we have an area where prevention and treatment are provided by utilizing natural power, such as the Satoyama course, close to a hot spring town , and the Zao-Kogen-Bodaira-Highland course, at an altitude of 1000 meters or more. By Yamagata shinkansen: Get off Kaminoyama onsen station. 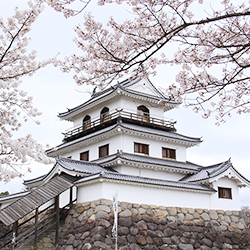 Since it was opened to the public in 1959, Hanamiyama Park has been a popular destination for locals and tourists to experience the beauty of spring in Japan. 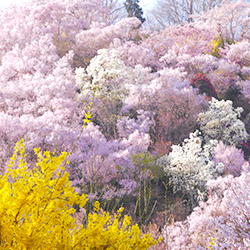 The park features a wide variety of plum and cherry blossoms, forsythia, and numerous other varieties of flowering plants. The hillside comes to life with numerous shades of pink and yellow in spring, but the extensive range of flowering trees means that there is plenty to see throughout the year. Seasonal bus runs from Fukushima Station during peak season (250 yen, 15 mins + 10 mins walk). Regular bus (240 yen, 13 mins + 25 mins walk). 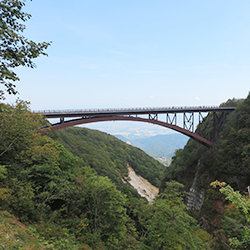 Known as ‘the road that runs across the sky’ the Bandai-Azuma Skyline is a 29km scenic drive that connects Takayu Onsen to Tsuchiyu Onsen. With an abundance of spectacular panoramic views, you can also stop at Jododaira to hike through pristine marshlands and climb Mt. Azuma-Kofuji. 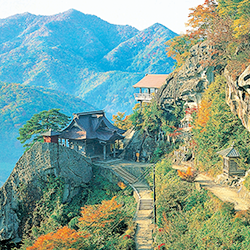 The area is a popular spot to witness the spectacular beauty of autumn in Japan. 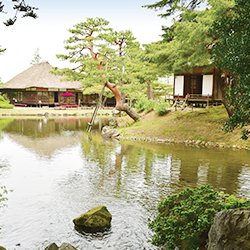 Immerse yourself in nature, relax in a nearby onsen, and stay at a traditional Japanese inn. 1 hour by car from Fukushima Station. Azuma Skyline Tour Bus runs twice daily during peak season (3,140 yen). Tsurugajo is one of the largest in eastern Japan. Inside the five-story castle, you can see lots of historical materials. And there is the tea-ceremony room called Rinkaku in the site of the castle, too. Powdered green tea and jouyo-manju, a japanese traditional sweet can be tasted. About 20 minutes by Haikarasan bus from Aizuwakamatsu station. to export valuable Korean ginseng to China, they were also able to export the plant cultivation research done in Oyakuen. You may also enjoy powdered green tea and sesame-youkan in the garden’s small tea house. About 30 minutes by Haikarasan or Akabe bus from Aizuwakamatsu station. 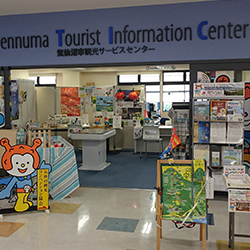 Bandai Atami Hot Springs are popular hot springs situated at the center of Fukushima and are very easy to access. 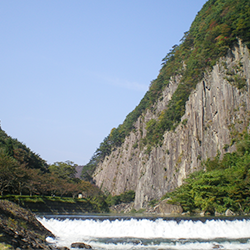 There are many Japanese inns along the Gohyaku River which flows through this hot spring town. It is a very convenient place for you to stay in while you explore other beautiful sight-seeing spots in neighboring areas. 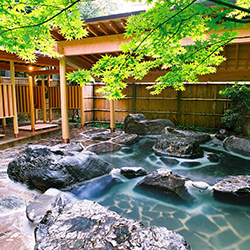 The hot spring has a good reputation as a“Hot Spring of Beauty”, making visitors’ skin smooth with the refreshing water since times gone by. It was opened about 800 years ago. It is an alkaline simple hot spring and the water is kind to the skin. It is very popular as a “Hot Springs of Beauty” and famously effective for burns, injuries, and skin diseases as well. In addition to staying, there are hotels and inns where you can make day trips. Enjoy the atmosphere of the old hot spring town at Bandai Atami Hot Springs.The Hagihime Festival is held on August 9th and 10th every year. 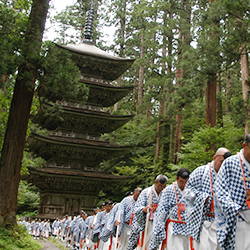 It is a festival that appreciates the grace of hot springs, named after Hagihime’s legend. The women who dressed as Hagihime perform the festival ritual. The appearance of Hagihime’s dance and ritual is fascinating. It is 13 minutes by rapid train(Ban-etsu West Line) and 25 minutes by car from Koriyama Sta.to Bandai Atami Sta. 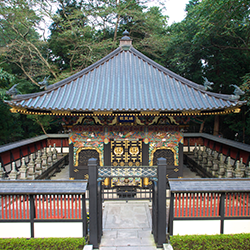 First built in 1876, this shrine was founded to house the divided Ise Shrine’s spirit. It is one of the most famous shrines in Fukushima. 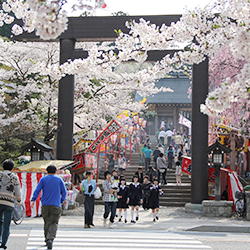 Many visitors come here during both New Year and cherry blossom season. Hatsumode is visit to the shrine for the first time in New Year and pray. Many people come to pray. Sakura Festival is crowded with lots of street stalls and many people. It is very popular as it is adjacent to the Kaiseizan Park of Fukushima most famous cherry-blossom viewing spot. Cherry trees were planted there in 1878, and there are 1,300 cherry trees now. The trees are lit up at night when they are in full bloom. The cherry blossoms in the day are also beautiful, but the cherry blossoms that were lighted up especially at night are also fantastic. Kaiseizan is an important place for Koriyama. Because this is the place where the development of Koriyama called ” Asaka Land Development ” began. The development of the plains around Kaiseizan started in 1873. ‘Asaka Land Development Project’, which was the first state-operated Land Development Project in the Meiji era, and ‘Asaka Canal Cultivation’ to irrigate water from Lake Inawashiro served as the foundation for Koriyama to develop. Kaiseizan park and Kaiseizan-Daijingu Shrine are symbol of Asaka Reclamation to be the foundation of development of Koriyama City. It takes about 15 minutes by bus from Koriyama Station. Iizaka Onsen is an historic hot springstown where you can stroll through the streets in a light cotton yukata. 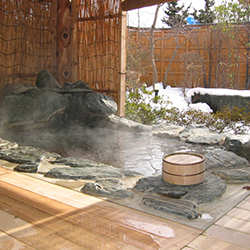 You can also relax in streaming hot spring water direct from the source at a one of the many ryokans (traditional Japanese inns),or in one of the nine oublic bathhouses. 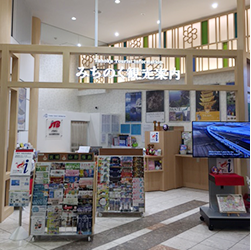 By Tohoku Shinkansen: Get off JR Fukushima station and transfer to Fukushima-Koutsu-Iizaka line to Iizaka onsen station. It takes about 25 minutes. 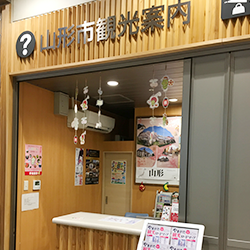 After you get to the station, it takes 5minutes to Iizaka onsen on foot. By car: About 10 minutes from Fukushima Iizaka Interchange to Iizaka onsen. 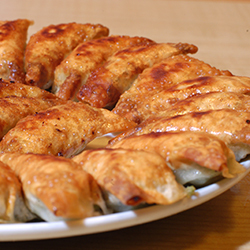 Dumplings are made with a filling (mixed mince meat,cabbage and herbs ),and wrapped in dough (made from kneaded flour and water).They are steam-cooked in a flying pan ,so that the skin is crisp,the dough is springy and the filling is juicy! It takes 10 minute walk from Iizaka onsen station. 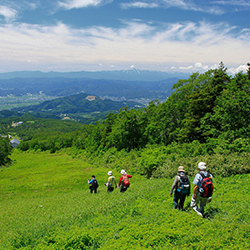 It takes 1minute walk from Iizaka onsen station. Placed centrally in Iwaki City,the onsen town is thought to be one of the best in the Joban region and is among a small group of the most prestigious hot spring areas in Japan.Gushing a world-class 5.5 tons of hot water per minute,the sulfur rich hot springs’ rare water qualities provide relief from a wide range of aliments and is also said to make bathers beautiful. By walk: 5~10 miniutes walk from Yumoto Station on the JR Joban Line. By car: About 10 minutes from Joban Expressway Iwaki Yumoto Interchange. 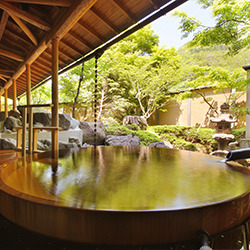 Iwaki Yumoto Hot Springs provides abundant hot water for Spa Resort Hawaiians. 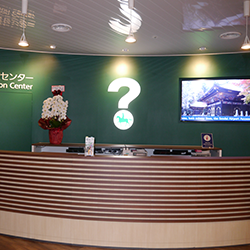 With its indoor temperature maintained all year round at a 29 degrees Celsius perpetual summer, you can get your fill of onsen fun. 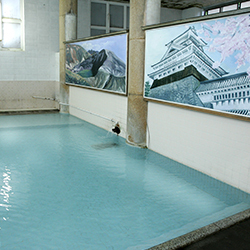 There are pools and the Edo Jowa Yoichi, which is one of the world’s largest open-air baths. 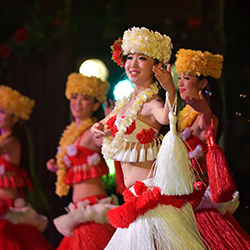 Spa Resort Hawaiians also features must-see entertainment with hula girls and fire knife dancers. The running pool has been recently renovated and the park added Japan’s first aquarium pool, which offers the experience of swimming alongside fish in the sea. There is Japan’s largest water slide in terms of height and length opened in the summer of 2017. By car: About 5 minutes(1km) from Joban Expressway Iwaki Yumoto Interchange. 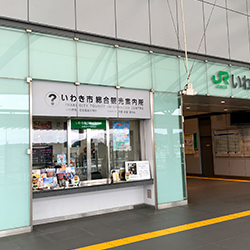 By public transportation: Get off at JR Yumoto Station on the JR Joban Line and take the shuttle bus for Hawaiians for 10 minutes. Get off at the final stop. 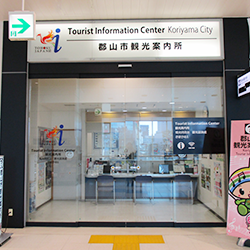 ※There is also a free shuttle bus from JR Yumoto Station. Copyright© City of Sendai All Rights Reserved.